From Grassington, head east along the B6265 road for a mile or so, thru the hamlet of Hebden and, once up the hill on the other side of the village, take the track up your left and walk up until the land just about levels out and the moorland opens up on the right-hand side of the track. 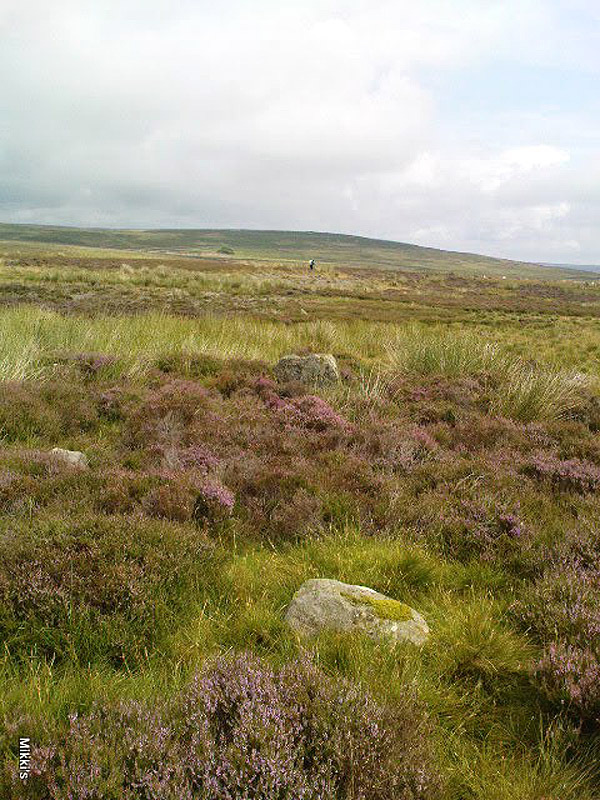 If you’ve got the trackway which takes you to Scar Top House on your left (where the walling breaks), head straight into the heather and walk about 150 yards NE, keeping your eyes peeled for a singular upright, less than 3ft high. Once here, check the small overgrown ring you should be stood in! Alignment east: ring, outlier, human, hill! And that’s that! No doubt the remarks about some stones taken from here to be used in some walling were told Raistrick by a local, but he says no more about this. Dixon, John & Phillip, Journeys through Brigantia: volume 2 – Walks in Ribblesdale, Malhamdale and Central Wharfedale, Aussteiger: Barnoldwick 1990. Raistrick, Arthur, Prehistoric Yorkshire, Dalesman: Clapham 1972. Ramm, H.G., “Yorkshire Archaeological Register, 1964,” in Yorkshire Archaeological Journal, part 163, 1965. 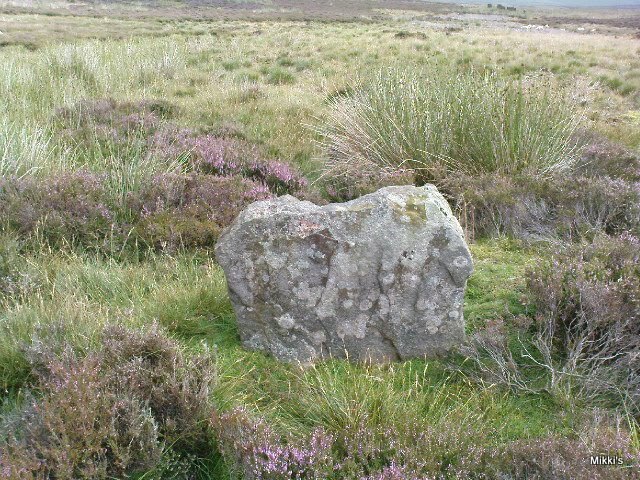 This entry was posted in Brigantia (Northern England), Stone Circles, Yorkshire, North and tagged antiquarian, antiquities, Appletreewick, Archaeology, Bronze Age, cairns, England, english heritage, Grassington, Hebden, megalithic, Megaliths, moorland, neolithic, North Yorkshire, prehistoric sites, sacred sites, Stone Circles. Bookmark the permalink.